Corn is a food that is often tied to the Thanksgiving Story and Thanksgiving feasts!! One of our favorite books to read during the Fall is Corn is Maize by Aliki. It is fun to learn all about corn and what the Native Americans made with it! 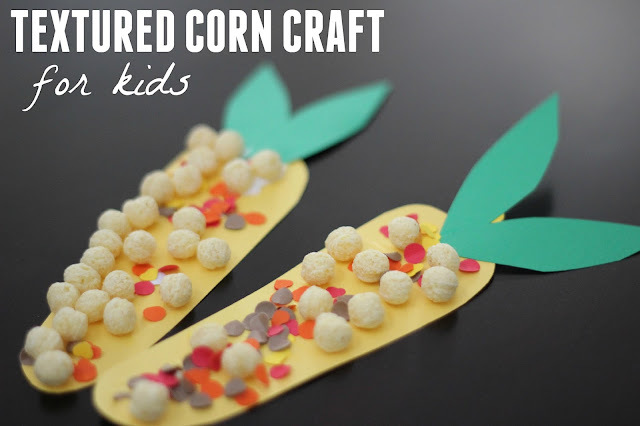 Today we have a super simple textured corn craft that you can make with kids as you prep your Thanksgiving meal too! 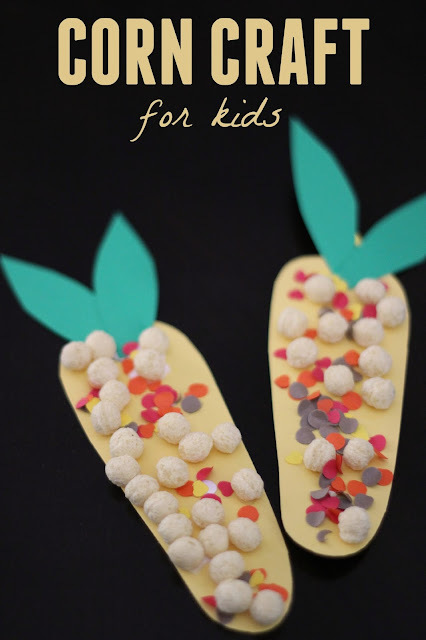 This corn craft is so easy and just involves making a collage of different textured items. First we started by cutting out corn shapes from yellow cardstock. Next we used our hole puncher and colored cardstock to make a lot of colorful pieces of confetti. After that we covered the cardstock in glue. Next we stuck Kix cereal and the confetti pieces onto the corn shaped pieces of cardstock. Lastly we cut out cornstalks from the green paper and glued them onto the tops of the corn. My kids loved snacking on the Kix while they created as well. You can find all of our Thanksgiving ideas over on our Thanksgiving Pinterest Board if you are looking for additional ideas for this weekend!